We offer two different types of photo booths: open-air and enclosed. 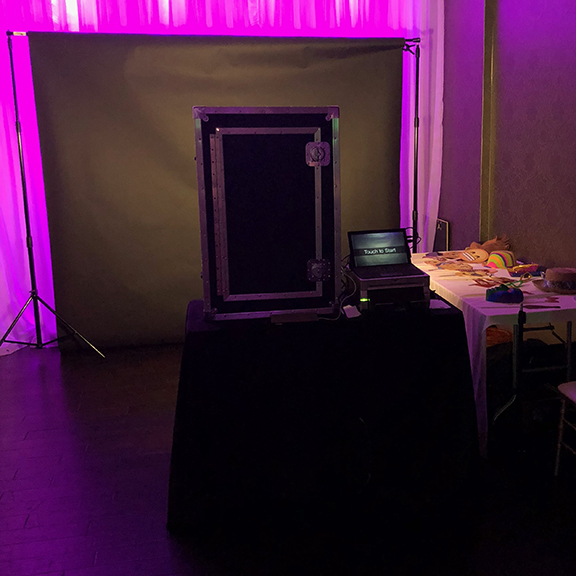 Our photo booths include a touchscreen monitor that allows you to frame your shot by seeing a live view of the photo, lighting to make sure the photo is properly exposed, and a professional photo printer that delivers high quality prints in a matter of seconds. See below for more information on each type of booth. Open-air photo booths are pretty self-explanatory: they are completely open for all to see. One major advantange of the open-air booth is you generally can include more people in each photo. We have multiple size backdrops that given enough space, allow you to fit 8-10 people in the photo. 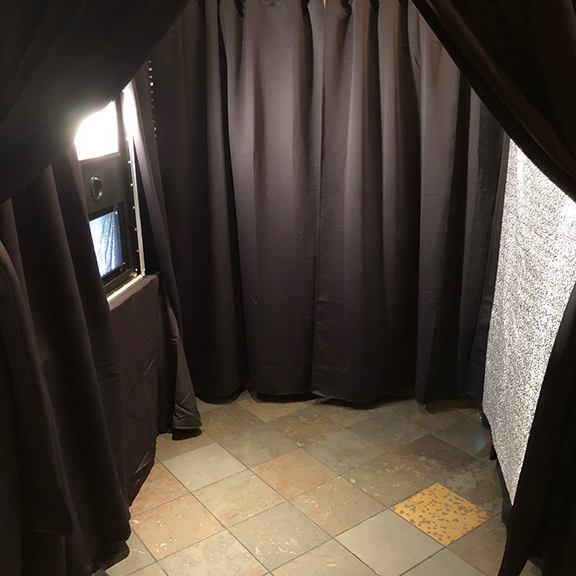 Our enclosed photo booths offer a little more privacy by having curtains on each side. You can generally fit between 3-5 people in each photo and the booth itself takes up a smaller footprint within the event space. A green screen allows you to get creative and use any background you’d like! Our photo booth will automatically replace the green background with any image you choose. We can also setup multiple backgrounds and have guests choose their favorite. A scrapbookis a perfect keepsake to remember all the fun you had at your event. The scrapbook will include a copy of all the photos from your event with space between the photos so you can add a personal touch! A 4×6 print is a larger size than a standard photo booth strip and allows you to have larger photos or more photos on one print. We have the unique oportunity to serve two greater metropolitan areas on the east coast. One of our business partners is located just outside of Philadelphia, which allows us to serve the greater Philadelphia Market. Our other business partner is located in northern Virginia, which allows us to serve the greater Washington, DC market as well. We are always happy to travel to your location, but we only charge a travel fee if you’re outside a 75-mile radius of either of our locations. 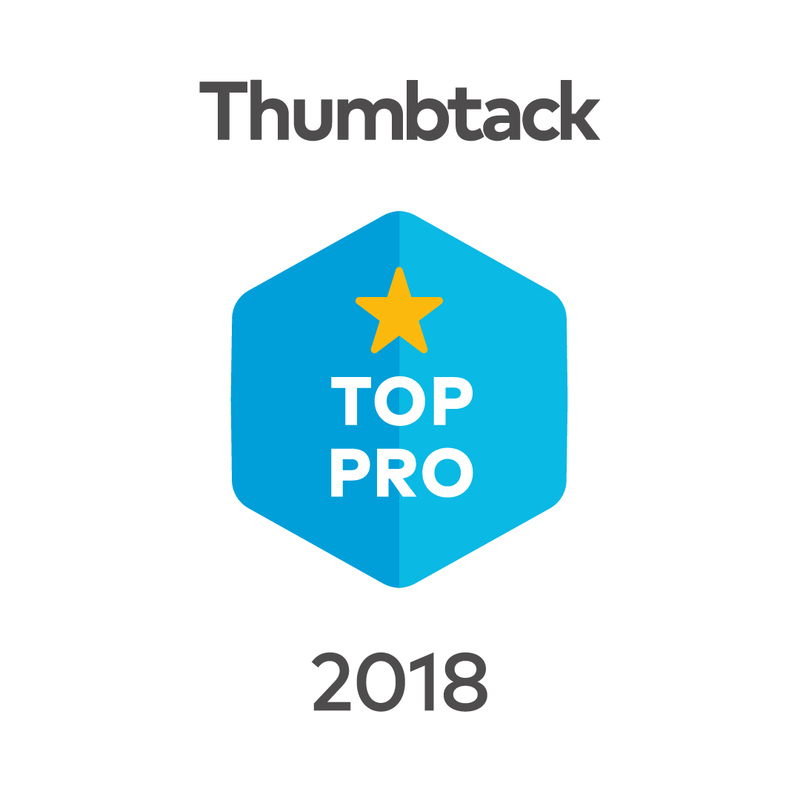 If you have any questions about our service area, contact us today! Book your photo booth today!